Raising Five: What? A contest? Here? Okay, you thought I was taking a break, but, well, I lied. I got an email yesterday from my friend Jennifer Satterwhite of BlogHer fame. She and I go way back to the Dark Years (our two oldest were born just days apart, and we spent most of their toddlerhoods baring our souls to each other across a McDonald's playland table). ANYWAY, she begged asked me to share some special moments that revolve around the kitchen or meal time. My answers are featured today on TheMotherhood.com. "What do you do in the kitchen or around meals with your kids you'd like to share?" (And NO, I don't work for Rice Krispies or TheMotherhood.com (you know that whole thing about me and advertising), but since Jenn is an old friend and she has blackmail postpartum pics of me, I thought it would be fun to play along!). Besides, I am all about inspiring families to gather around the table for family meals. Okay, so here's where YOU come in! We want to year from YOU! Leave a comment here with something special you do or have done with your kids in the kitchen. Something (the simpler the better) that will inspire us to carve out family time, and to get into the kitchen and around the table as a family again. It could be anything from a tradition, a shortcut, or special recipe, to a mealtime game, prayer, or memory. 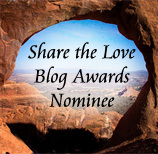 No, you do not have to be a blogger to participate - this is for everyone! Just a sentence or two is fine. On FRIDAY (yes, I will be in Jamaica, but who's going to let a little Caribbean come between friends? ), I will select TWO lucky winners from the comments to receive a fun prize from Rice Krispies. WHAT's more, your idea may be selected by Rice Krispies to be highlighted in their new campaign! Here are some questions Jenn asked me - maybe they will jog your memory, or get your creative juices flowing (read my answers and lots of great comments already piling up here)! 1) What is the most insane creation to come out of your kitchen when you and the kids were trying something new? 2) Do you have any favorite traditions that the kids look forward to doing in the kitchen with you? 3) What was the first "meal" you taught your kids to fix? 4) Any kitchen disasters with your kids? 5) Do you have a nightly ritual with your family when it comes to meal time? If so, will you share it? I would also like to use this opportunity for us ALL to get to know each other! We haven't done this in a long time, so when you leave your comment, why don't you tell us (1) who you are, (2) how many kids you have and their ages, and (3) something - ANYTHING - that you do that is fun, crazy, creative, meaningful or memorable in the kitchen. I'm Sherri. I have 4 kids. 12yr girl, 9yr boy, 7yr boy and 4yr boy. Around the dinner table for conversation we ask each person what their "good, bad and funny" were for the day. This builds good listening skills and care for one another. We got this from our friends the Chandlers. Sometimes when I'm cooking/baking with the kids I become "Aunt Edna". I talk in an English accent (think Mrs. Doubtfire) and I stick my rear out and shuffle around the kitchen showing/teaching them each step of whatever recipe we're working on. It's heaps of fun and smiles. Even now at 10 and 12, my kids still want Aunt Edna. "Do Aunt Edna", mom! PLLEEAASSEE! I'm Sheila. I live in Colorado and have two girls, 12 and 8. The most insane thing we have ever done in the kitchen was try to make the ingredients for homemade s'mores. The graham crackers came out fine, but let me tell you, marshmallows at high alititude is a feat I will not attempt again! :) The second batch came out okay, but my kitchen and I were both a wreck. My 12 year old and I are currently taking a Wilton cake decorating class, and we both enjoy cooking and trying new things (see above!). My younger daughter and I just made the candy coating dipped marshmallows on a sucker stick that I saw on several blogs for her to give her friends for Valentine's Day. They turned out very cute! Interesting that this is a Rice Krispies sponsor, because the next thing I was thinking of doing is making Rice Krispy treats, cutting them in heart shapes and half-dipping them in chocolate. I saw this on someone's site yesterday (sorry, I don't remember who), and it was so cute! We bought something similar at Disney World (mouse ears instead of hearts) and they were yummy! I'm Roslyn. I live in Canada and I have six children aged 6 wks to 13 1/2 (only one girl in the bunch!) I love, love, love to cook. One tradition in our family is simply to be in the kitchen together when I'm making cookies or chocolate chip pancakes or bread. All the kids line up their stools or sit on the counter and beg for tastes at all stages of the process (we've had kids lick the sugar off the counter! ), help stir, fight over who gets the beaters, etc. They love it. This last summer when we lived in a camping trailer for 6 months, we all really missed that--I didn't realize what a great tradition it is until we couldn't really do it anymore. I have to thank my mom for always inviting me to cook with her, and my dad--who was a cook and pastry chef in the military--for encouraging me to master cooking skills. I am MaryBeth. My husband and I have 1 child, a son, who is 1 month old. I live in Alberta, Canada. I worked as a preschool teacher for 10 years and love to cook with kids. Its so much fun to watch them become more confident and and take on more responsibility when you make a recipe multiple times. I can't wait to cook with my son and look forward to reading everyones ideas! I'm Makila. I have 3 kids, Seth, 6, Danielle 3 1/2, Lydia 11mo. They LOVE it when I'm making something and pretend we're having a cooking show. They sit at the island and I explain what I'm making. This is from an email from my friend Chis in Canada. I thought these ideas were too awesome not to share with everyone! I have just a few quick comments about the whole suppertime question. Since we have 5 kids, we’ve decided to give each child one weekday (e.g. Brittany is on Monday, Emily is on Tuesday, etc…). On their day they choose a prayer request out of the prayer jar, they lead grace (and pray for that item) and choose a brief song for us to sing as part of our grace. I also try to focus on that child on their day – pray for them more often than normal, give extra attention, etc. We also sometimes do theme meals: eat with silly utensils, eat just one color, etc. It’s over suppertime that we’ve learned the books of the bible together. We practice them different ways – go around the circle and each say one, or say them all in unison, etc. One more thought. I took this idea from my childhood. Each year around New Years Eve, we all climb down on the floor under our kitchen table and we write on the bottom of our table. We each record our names, the date, our ages, and one sentence about the past year. It is SO MUCH fun to read back through the years. What a keepsake. (3) Melody loves to help whenever she can in the kitchen. When I bake she will help pour and mix/stir anything that can been poured or mixed/stirred. Here's some photos of her helping with banana bread baking for Thanksgiving. Lately, she loves to help set the table for dinner. We have three blessings, 12, 4, and almost 3. At supper each evening we take turns answering, "What wonderful and exciting things happened to you today?" The first person who answers the questions chooses the next one to be asked, and so on. It helps us work on listening, taking turns, and it helps us keep up with what's going on with everyone. I'll admit, the answers we get from the 4 and 3 year old are sometimes pretty interesting! We are reading through the Bible in a year. We read at the end of dinner while we're all still at the table. Our kids are 12, 10, and 7, and we're using a "kid" Bible that is broken down into daily readings. We do miss occasionally when practices/activities interfere, but we just read two to make up the next night. The kids look forward to picking up where we left off each night. This works so much better for us than trying to do Bible reading at bed time when we're all too exhausted to give it our full attention. Hey! I'm Tami, my kids are 12, 10, 8, & 4. The 8yr is the only boy. Every night at dinner we go around the table and everyone says something they are thankful for that day before anyone can dig in. Each kid has "their day"; one is odd, one is even, one is divisible by 3, and the other divisible by 4. On "their day" they get special privileges, but also have extra chores. Those surrounding dinner include being the first one to say what they are thankful for and the one to choose the mealtime prayer, but they are also the one that sweeps the kitchen floor after dinner. Also, we have a dishwasher, but choose to do our dishes by hand. I have learned so much about my children and their day just by spending that time with them. Then we have a journal kept in the kitchen called Candles, Compliments and Congratulations. Every night a circumstance calls for it, we light a candle and record why in the journal. It might be a good test grade, learning to spell her name, or "you shared very nice". This journal is so fun to read as the years go by and serves as a great reminder and recorder of history. The kids' friends want to eat dinner with us often and always participate in the "I'm thankful...", want to get in the journal, and clamor to get a spot doing dishes. I think they just like feeling a sense of belonging. I have four kids 12yr girl, 10 yr boy, 7yr girl and 10 month girl. We do WB at every dinner. The worst and best for the day. The worst cannot be something negative about someone else at the table. This is to prevent, "my worst was when you did ___ to me". It has been neat to see how they have shown compassion for each other. It is neat to see their "worst" be something else bad that happened to another, got hurt, had a dilemma, etc. So sweet. The other fun thing we have just started. My kids have really been enjoying cooking. So the day of the month that their birthday is on. For instance Feb 10th, every month on the 10th, we would cook. They are allowed to plan the menu and make a dessert even a special drink. We check kids cookbooks out of the library and it has been so much fun. All the kids are able to cook on thier day of the month, if they want. My son plans the menus weeks in advance. He made French Onion soup, stir fry, a dessert bombe, shirley temples. We have made memories that will last a lifetime. I am Lisa and I have 3 kids (ages 5(boy),6 (boy),and 8(girl)). Their favorite thing to do in the kitchen is bake. We make cookies and all kinds of yummy desserts together. Of course, we make a pretty big mess too...but it's worth it. At dinner, we have a box called "Food for Talk" from which we take one card each night. The cards give a question that each person at the table then answers. The questions are things like "What 5 things make you smile" or "If you could change one thing in the world, what would it be". If I forget to pull a card, the kids always remind me and often beg for us to do more than one. It really gives me insight into how their minds are working and how they feel about certain issues. I'm Aimee. I have two children, a 7yr boy and an almost 6yr girl. Each night the kids take turns asking the blessing first. Then we go around the table and everyone gets a turn. Our most recent cooking adventure was making butter. It was great fun! I'm Jen. I have 2 children. 12yr girl, and 3yr boy. Miller and I bake cookies....it is such a mess but I love to watch him eat the ingredients from the bowl. He also makes lemonade with me...everyday. I put it together he adds the water and stirs...messy but a daily chore we do. One of the first things Madison learned to make in the kitchen was eggs...she can scramble them, boil them and fry them. I told her if she could conquer the egg she could do almost anything on burners. She makes her own breakfast every morning. Eggs. Some creative things we do in the kitchen together are mostly during holidays...Christmas, Halloween, valentines, Easter...we make desserts together...they enjoy icing and stirring and decorating. We do this alot. Every night we eat together too. We have prayers and each person at the table asks for prayer for someone in their life at that moment that was having a difficult time. That gives us good conversation afterwards. Something crazy you want to know about the kitchen? hmmmm. Miller drags my tupperware out and reorganizes 3 yr old style EVERYDAY. Drives me crazy....but makes him happy. Madison also turns her itunes on the computer in the kitchen while i'm cooking and we dance alot. I'm Jenny, two boys ages 2 1/2 and 6 months. The oldest LOVES to "wash dishes" and "help mommy" so I try to take every possible opportunity to have him stir or pour water in, or whatever. I'll take the "help" where I can get it and we have so much fun giggling together. I'm Maureen from Florida, I have 5 kids 19, 15, 8, 7 and 5. When we would sit down for dinner the little kids would argue over who was going to say the prayer. So we started letting each one lead us in their own prayer. All the while I was learning patience, it takes a long time for 3 kids to say their own Grace! I'm Sweetie(Shanna). 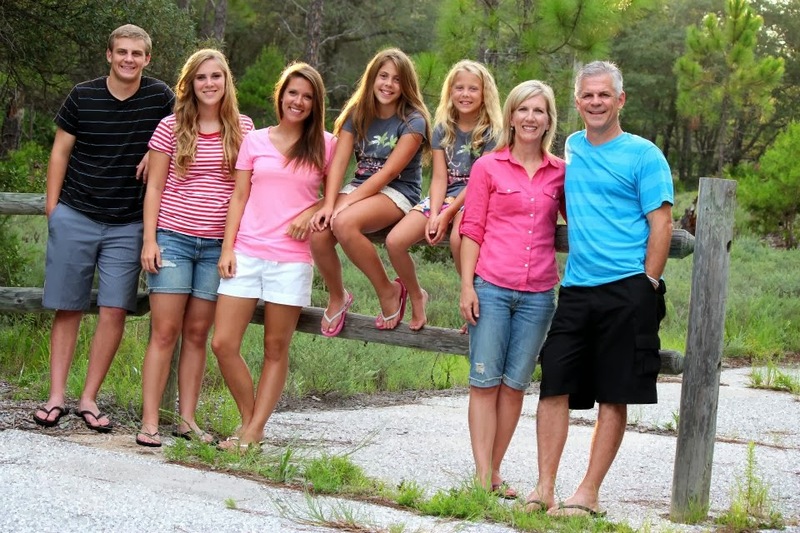 As a blended family with two new teenager stepchildren and two young elementary children when we married six years ago we had to find new ways to handle family nights between two entirely different family styles, Children were 6,9,12,and 16 at the time. The kitchen became our first real stage as a family. Thursday nights we chose as Chef of the night events where Mom/Stepmom and the child of the week and one of his/her friends would come to make a meal of the child's choice. The entire six of us and friend(s) would then gather as the meal was completed to applaud and enjoy the meal at hand from the week's star chef and friend. Afterwards a board game, movie, or spectacular dessert together broke many many layers of blended family ice and age differences as we found common ground! We also have date nights with simply one child in the kitchen, a late dinner reservation so to speak, to build one on one time with each child's life. Sometimes this is a date night dessert at 8 with only that child, other times its a dining room dinner while the others do pizza in the kitchen...but always its a time of sharing precious 1:1 time in a family of six and catching up on that child's dreams, goals, life stresses, and growth! I'm Amy. I have two biological daughters ages 8 and 10 and 4 foster sons ages 7, 19 months, 9 months, and 8 months. The most fun thing we do is every summer we head to the orchard to pick fruit. We have a blast doing so and when we come home we all work together to make jam. The kids feel so good about what they have accomplished.They happily pass out jam jars to their teachers at school for Christmas with much pride. I'm Tina and have 2 boys, ages 5 and 3. I do make sure we eat dinner together and talk about something good that happened today. I do want to get them more involved in the kitchen. We've done some cooking together (cookies or brownies or simple food)--usually my older helps and the younger plays with oats and some scoops/cups/spoons. I do want to start doing more...but at this point it's rather frustrating. :) I do let them lick a beater anytime we cook something sweet. And tomorrow we'll be making our annual Heart Cake for Valentine's Day. Andrea from Illinois, I have 2 girls (9&5) and another on the way in May! I have e-mailed before. We spend a lot of time in the kitchen as my husband and I both like to cook and the girls love to get in on the act. But my favorite time was this past New Years Eve. We were all in the kitchen cooking. My youngest said "I want to wear a dress to dinner...yeah girls wear dresses and boys wear zuits (she said zuits)!" My oldest then asked if we could eat by candle light (we do this on occasion with the girls) So my husband and I sent them to their rooms to get dressed up but did not tell them we were doing the same. We set the table, changed quickly, turned the lights down in the house, lit the candles, and my husband proceeded to go to each bedroom and get his dates to bring to the table. It was too cute and the girls ate up each moment of the dinner. I will never forget it. Nothing planned just a fun moment that happened for us!